Is the Coca-Cola Company’s £3.9bn acquisition of Whitbread’s Costa Coffee a supply chain headache? 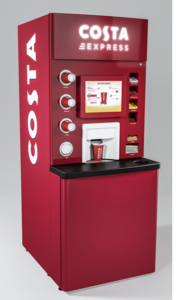 Since the purchase of Costa by Whitbread in 1995 for just £19m, Costa had just 39 outlets and has since grown to be the UK’s largest coffee chain with 2,400 UK Coffee Shops, 1,400 Outlets in 31 overseas markets and 8,237 Costa Express vending machines worldwide. These figures illustrate the huge growth of Costa to becoming a market leader and how coffee has become one of the fastest-growing beverage categories in the world at 6%. Whilst Coca-Cola is the renowned global leader in soft drinks, they have yet to establish a brand within the landscape of hot beverages and lack physical stores in a variety of international markets. Why has Coca-Cola bought Costa? Coca-Cola is renowned as having one of the largest global distribution channels, giving countries on the furthest reaches of the globe access to one or a variety of their products. However, whilst this is impressive, it also presents the ability to potentially offer products (such as Costa coffee) outside of their traditional portfolio of soft drinks to markets that would require little or no investment to access (in contrast with their competitors). Whilst the acquisition of Costa also allows for the potential of economies of scale, especially if they focus on offering vendored or bottled coffee solutions. This being a market which Costa led by Whitbread had previously targeted as having significant potential. In addition, Coca-Cola can use the existing supply chain of Costa to enter markets such as China (in which Costa has 459 stores) to enter a market that has been historically difficult for retailers to break into. Coca-Cola have struggled in recent years with changing consumer habits as the decline of soft/sugary drinks and their perceived image. The purchase of Costa can be seen as an attempt by Coca-Cola to diversify their brand (something with which they have previously precluded) and to solidify their existing markets. For example, they offer brands such as Diet Coke, Fanta, Sprite and Oasis all labelled as ‘reduced and no-sugar, no-calorie options’. Whilst Coffee seems to be a market exempt from health-conscious consumers. Just 10 days before Coca-Cola Company (CCC) reached an agreement on the acquisition of Costa, their direct competitors PepsiCo agreed a $3.2bn deal to purchase SodaStream (market leaders in sparkling-water dispensers). The significant shift of Coca-Cola towards Coffee as well as bricks and mortar retail pushes them away from Pepsi and into an already fast-growing market of Coffee. 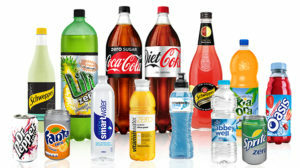 This allows them to significantly invest in their supply chain benefiting their existing brands but not just in that of a market that is currently in decline (unlike sugary soft drinks). For brands such as Cola-Cola, this can be seen as diversifying their supply chain rather than doubling down investment. Will Costa cause Coca-Cola a sugary headache? Costa coffee already has an existing supply chain that contains over 3,800 outlets and 8,200 vending machines worldwide. Whilst their 459 branches in China will be seen as having key significance, the already existing global Costa supply chain will undoubtedly have inefficiencies and duplications with the existing Coca-Cola supply chain. Reviewing the already existing organisational structure and identifying improvement opportunities will no doubt be a huge challenge over the next 24 months and possibly the first major challenges to overcome. As Costa’s recent focus towards vendor beverage is already an established market dominated by Coca-Cola. Coca-Cola also has the interesting management and the supply chain challenges of tackling the shift to bricks and mortar retail. This is going to be a sharp contrast to their already existing supply chain and has been a significant aspect of concern. Costa will increase the group’s headcount by another 30%, adding over 20,000 Costa staff on top of the existing 62,000 employees. Trying to consolidate legacy systems presents another significant challenge. 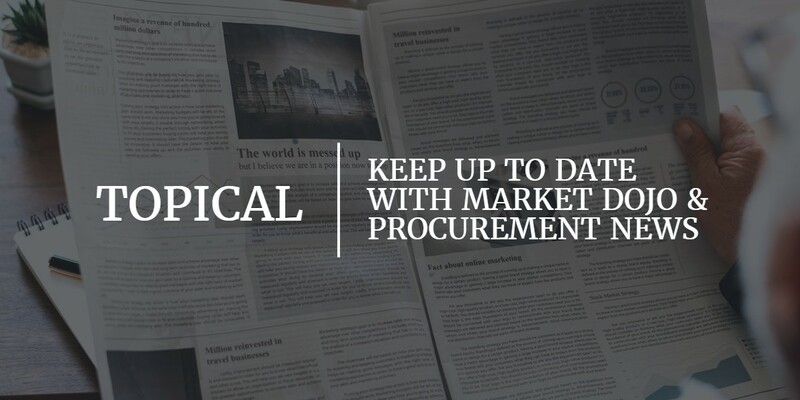 Being able to access and understand data over differing businesses can be a huge project in its own right. Whilst rushing the consolidation of the different systems presents many risks. Firstly processes need to be understood which takes time. Then a careful GAP analysis is needed before the ultimate consolidation. This is expensive, can be counterproductive and overwhelming for the staff. Easy to use and on-demand solutions such as Market Dojo have been used many times as a stop-gap for organisations undergoing similar changes and looking for immediate gains. Many customers, in fact, continue with Market Dojo alongside their ERP solutions. Have a look at our Case Studies.